bombayhomest has just joined our group! karma2009 edited the posting Bhutan Travel destination in the Himalayas of Bhutan ! schismarch has just joined our group! bluemttravel has just joined our group! foxylawyer29 has just joined our group! Mash Gholam has just joined our group! olena has just joined our group! xolar has just joined our group! Ashkan Nazempur has just joined our group! camy has just joined our group! annagreg has just joined our group! Amanda Bleu just left this group. New topic by karma2009: Bhutan Travel destination in the Himalayas of Bhutan ! 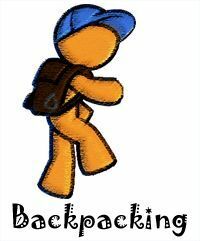 New topic by mike7: Backpacking Peru - All of Feb. Karma Gyeltshen has just joined our group! bootlegga edited the posting Trans Canada train? William Kupchin has just joined our group! New topic by wojtekd: Trans Canada train? worldbefree has just joined our group! earthgoddess has just joined our group! jforjessy has just joined our group! the-11 has just joined our group! Elvis Stedman has just joined our group! Grant Lingel has just joined our group! turnbull has just joined our group! New topic by hawkes: 2 women travelling alone South America - Advice! kila kila has just joined our group! Tadej Bozic has just joined our group! gini has just joined our group! rd rd has just joined our group! Walter Andreas Pucko uploaded a new group image!